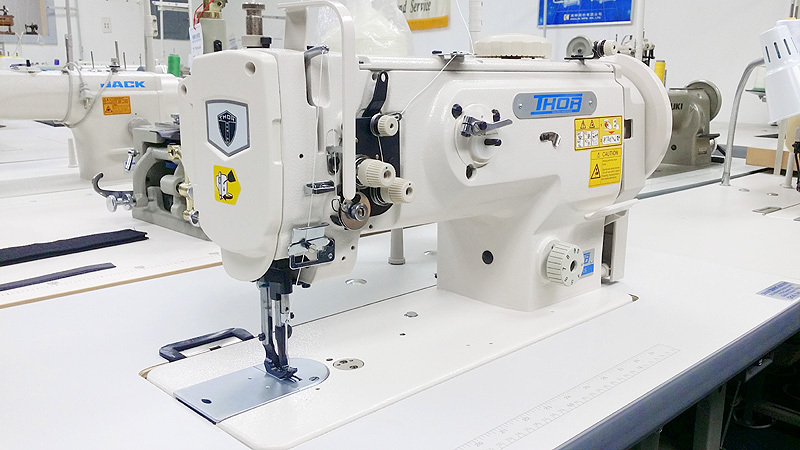 This single needle machine has a dual tension mechanism, with which the machine can support high tension sewing with thick thread. This means that the machine produces seams of excellent quality on a broader range of materials, extending from light to heavy weight materials. The high 16mm presser foot lift enables easy material handling for heavy sewing. The 1541s’ maximum stitch length of 2 ½ stitches per inch allows a broader range of uses, such as awnings and sacks. The 1541 has a unique feature which allows the user to simply dial in the walk height of the Walking Foot. This prevents the Walking Foot from snagging on thicker material.